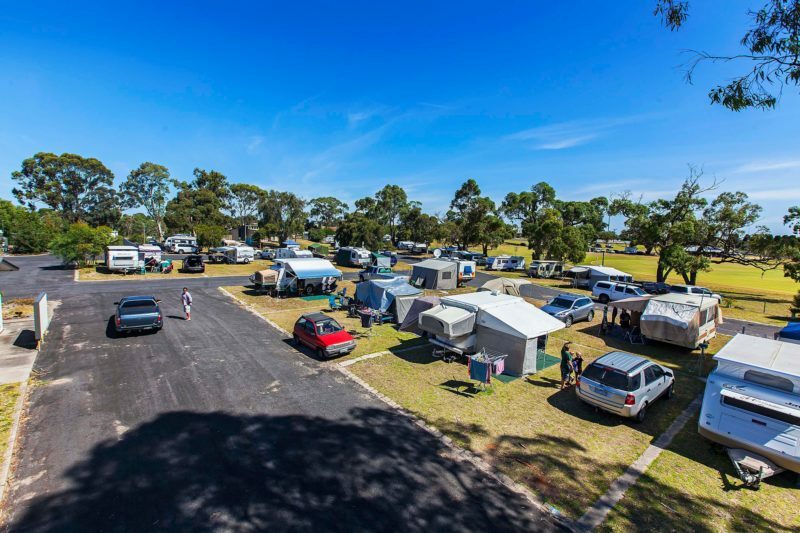 Naracoorte Holiday Park is set on 15 acres of grass parkland and offers quality accommodation and caravan sites. It is a beautiful and relaxing environment with plenty of room to move. A proud member of the Big 4 Holiday Parks chain, ask staff about exclusive discounts we have arranged around town for guests and members. Accommodation includes one and two bedroom holiday units, ensuite cabins, one and two bedroom villas and glamping tents. 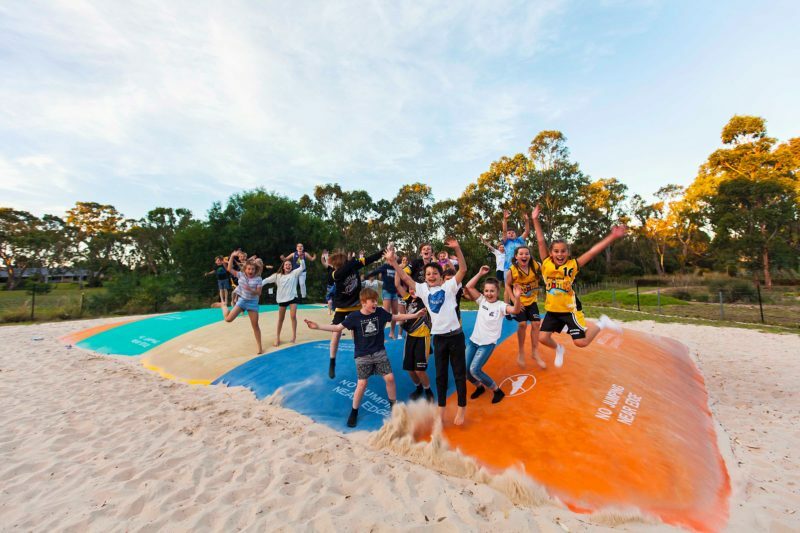 The park grounds include Pedal Go Karts, Free Wi-Fi, Jumping Pillow, 18-hole mini golf plus tiny train rides. The property also adjoins a free swimming lake – summer only. Located only five minutes walk to the town center, which has a range of shops, cafes and tourist attractions. 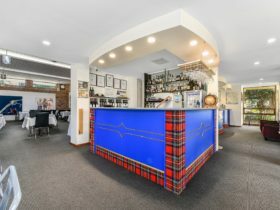 Interesting places include The Sheep’s Back, Mini Jumbuk, art gallery, golf course, wineries. We are the closest park to the Naracoorte Caves – South Australia’s only World Heritage site. 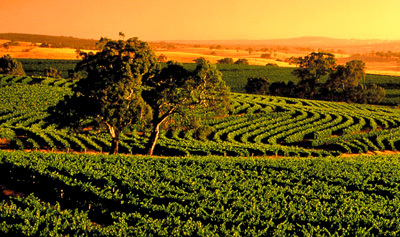 Naracoorte is halfway between Adelaide and Melbourne and links to the Grampians, and the Great Ocean Road. 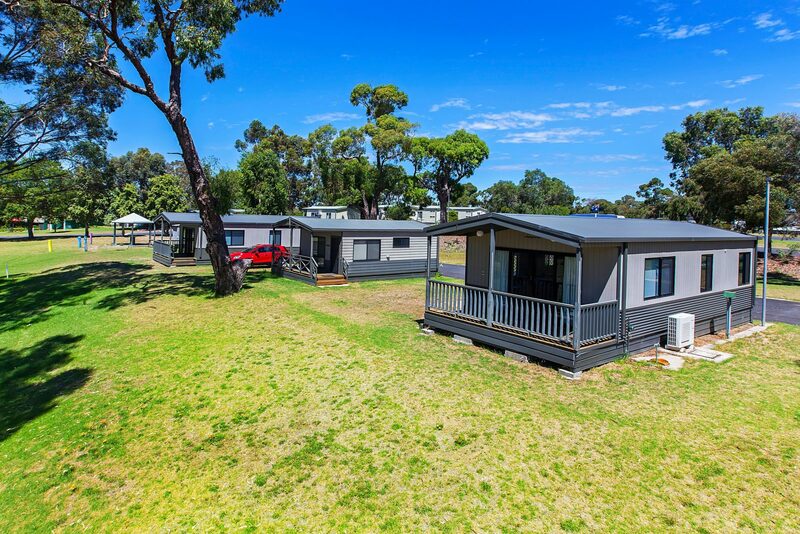 The Naracoorte Holiday Park is the ideal base for a stay in the Limestone Coast region. 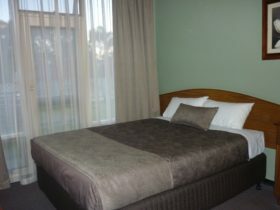 This distinctive and luxurious, modern air conditioned unit is fully self-contained and is suitable for a couple only. 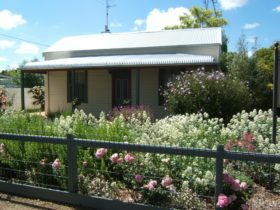 In a beautiful and secluded location within the park, this romantic retreat offers a queen size bed, two televisions, DVD player, full ensuite and two person spa. Split system airconditioning, a generous living, dining and kitchen area and a deck with views across our frisbee golf course. 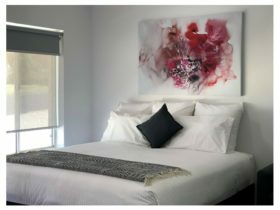 These air-conditioned units are fully self contained and accommodate up to four people, having a queen size bed in the main bedroom, and two single ensembles in the second bedroom. One bedroom self contained holiday unit with one double bed and trio bunk beds (one double with single over top). 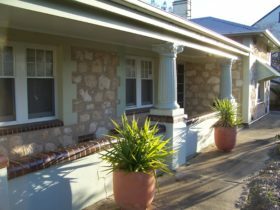 Two Bedroom Villa sleeps four, main bedroom has a queen bed and second bedroom has two King Singles. All linen supplied. 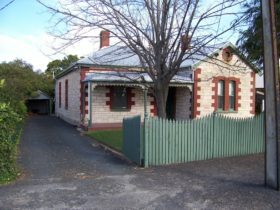 Fully self contained with kitchen and full ensuite. Large family unit with full balcony. Overlooking four acres of grassland. Two bedroom self contained holiday unit with one double bed and two double bunk beds. One double bed and two double bunk beds with curtain dividers for privacy between sleeping zones. Wanting to go camping but feel like the amount of “stuff” you have to buy is overwhelming. Perhaps you baulk at the thought of spending the first and last few hours of every trip just setting up and packing away. Or maybe you just cant stomach the idea of sleeping on the ground. We have the perfect solution. Our Glamping tents have queen and single beds, lights, fans/heaters fridge-esky and table and chairs for all. Just bring your clothes and suddenly you’re camping. Opposite our camp kitchen for all your cooking needs and just a 20 meter walk to the amenities block the Glamping tents combine the spirit of camping, with a bit of luxury and none of the hassle.